Holiday recommendations for caregivers taking care of Alzheimer’s patients is long overdue. They have their hands full taking care of their Alzheimer’s patients throughout the year. But their responsibilities and stress levels really go up during the Holiday season. 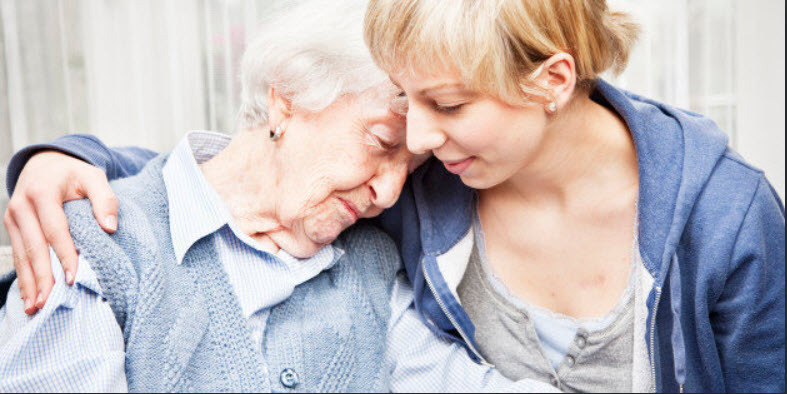 In this regard, the National Institute on Aging (NIA) has issued a list of recommendations to caregivers that will benefit both the caregiver and their Alzheimer’s patients. Many caregivers are under great stress during the holidays. They worry about the extra demands on their time and energy to their families as well as to their Alzheimer’s patients. Simplify your holidays around your home. Invite family and friends for a potluck. Instead of elaborate decorations, consider choosing a few select items. Encourage friends and family to visit the patient, even if it’s difficult. Plan visits when the person usually is at his or her best. Prepare quiet distractions to use, such as a family photo album, if the person with Alzheimer’s becomes upset or overstimulated. Make sure there is a space where the person can rest when he or she goes to larger gatherings. Avoid situations that may confuse or frustrate your Alzheimer’s patient. Large crowds, changes in routine, and strange places frighten them. Safety is extremely important all year around, but especially during the Holiday season. Potential obstacles such as Holiday decorations, Christmas trees, lights, or menorahs, should be secured so that they do not fall or catch on fire. Flammable should be monitored at all times, and extra precautions should be taken so that lights or anything breakable are permanently anchored. Candles should never be lit without supervision. When not in use, they should be put away. Also, try to avoid clutter, especially in walkways, during the holidays. For more home safety tips, visit NIA’s Home Safety and Alzheimer’s Disease. Explain to guests that the person with Alzheimer’s disease does not always remember what is expected and acceptable. Give examples of unusual behaviors that may take place such as incontinence, eating food with fingers, wandering, or hallucinations. If this is the first visit since the person with Alzheimer’s became severely impaired, tell guests that the visit may be painful. The memory-impaired person may not remember guests’ names or relationships but can still enjoy their company. Stress that the meaningfulness of the moment together with loved ones, matters more than what the person remembers.